Point2 Homes gives you far more than a simple list of houses for sale. Get instant access to a lot of relevant information about Alberta real estate, including property descriptions, virtual tours, maps and photos. The search results pages also have a wealth of information on Alberta, if you scroll all the way down. There are 24,872 houses for sale in Alberta. 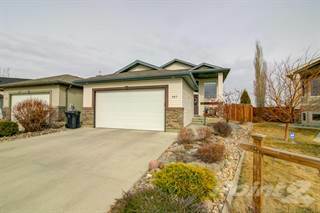 Searching homes for sale in Alberta has never been more convenient. 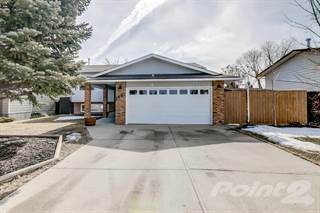 With Point2 Homes, you can easily browse through Alberta single family homes for sale, townhomes, condos and commercial properties, and quickly get a general perspective of the real estate prices. Also, you’ll never miss a bargain if you filter listings based on house price drops in the past six months. 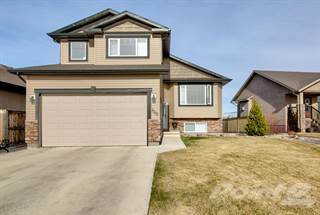 Use the map view to find Alberta homes and apartments for sale, based on amenities or city features that you may want close by. You can close in on a specific neighbourhood or area by simply drawing around them with the polygon or radius tools. Stay informed about the latest entries on the real estate market by saving your searches. This way, you get new listings in your inbox, daily or every week, based on your preferences. If you’d like to get in touch with a professional, agents are displayed next to their listings, and they’re easy to contact through the online forms. If you want more options, you can click the Tools tab and Find an Agent, and you’ll get a list of helpful and knowledgeable real estate agents in Alberta. Visit the Point2 Homes blog and you can find up to date expert advice on many markets throughout Canada, regular market reports, neighbourhood scoops in cities throughout the provinces, real estate deals and useful recommendations. The province shares its southern border with the United States (Montana). Alberta covers 661,848 square kilometres, only 3% of which are made up of bodies of water. There are more mountainous areas in the southwestern section of the province, although Alberta is considered one of the three Prairie Provinces. Alberta’s population is over 3.5 million people, making it the fourth most populated in the country. Its capital is Edmonton, which is located in the central portion of the province, but which is not the largest city in Alberta. The province is named after Queen Victoria’s fourth daughter, Princess Louise Caroline Alberta, who later married John Campbell (Governor General of Canada from 1878-83). Alberta has a number of provincial parks, which provide recreational opportunities such as hiking, fishing, camping, biking, fossil discovery, and wildlife watching. These include parks such as Dinosaur Provincial Park, with a high concentration of fossils; Lakeland Provincial Park, popular for watersports; and Canmore Nordic Centre Provincial Park, a top cross-country skiing spot. The province also has a number of national parks, including the very popular Banff National Park in the Rocky Mountains, which happens to be Canada’s oldest national park; and Jasper National Park, which is also in the Rocky Mountains and northwest of Banff National Park. Oil is big business in Alberta. The province is the largest producer of oil and gas products in Canada and the world’s second largest exporter of natural gas. The Athabasca oil sands near Fort McMurray provide numerous jobs and contribute significantly to the province’s economy. A number of large oil companies operate mining projects in the area, and employ local workers as well as workers who come from other provinces and countries. Agriculture is another large contributor to Alberta’s economy, with cattle, bison, sheep, grain and canola cultivation, and beekeeping being prominent industries. Forestry is also common in the province, and wood is used for lumber, plywood, wood pulp, and newsprint. With so many parks and historical sites in the province, tourism employs many locals, as millions of visitors flock to Alberta’s cities and recreational spaces each year. Historical sites in the province include Writing-on-Stone Provincial Park, located close to the Canada/United States border and featuring art painted and carved into sandstone walls thousands of years ago; numerous forts (Fort Calgary, Fort Vermilion, Fort Fork, and Fort Edmonton), which were established by European settlers; buffalo jumps, which were historically used by First Nations to hunt buffalo; and small museums and preserved properties such as Rutherford House, which presents life in the pre-First World War era. Arts and culture activities can be found throughout the province, but especially in the more populated central and southern areas. The Royal Alberta Museum in Edmonton features exhibits about the natural and social history of the province, while the Hangar Flight Museum in Calgaryfocuses on information about aviation. Alberta is home to the Alberta Symphony Orchestra, the Alberta Ballet, and the Alberta Opera. The Calgary Zoo and the Art Gallery of Alberta are also popular spots. Festivals include the Edmonton Fringe Festival, the Calgary Stampede, the Calgary Jazz Festival, and the Edmonton International Film Festival. Calgary, with a population of over 1.2 million, is Alberta’s largest city. It is located in the southwest area of the province, close to the British Columbia/ Alberta border. The city is home to many of the province’s largest companies, as well as numerous arts, cultural, and recreational activities/ events. Edmonton, with over 870,000 people, is the province’s capital and is located north of Calgary. Red Deer has a population of over 100,000 people and is located between Calgary and Edmonton. There are over 95,000 people in Strathcona County, which is situated immediately east of Edmonton. Lethbridge is farther south than the other more populated cities, with over 94,000 people, and is located close to the Canada/ United States border. The northern part of the province is generally less populated than the southern part, so there are fewer real estate options in this section (in rural areas). The oil boom near Fort McMurray has brought in more people and money, resulting in single-family home prices increasing, particularly for newer built houses. Most of the homes here are fairly large and normally include at least a single garage. There are condo options available, as well as vacant land that tends to be higher in cost. In the central section of Alberta, the rural areas have plenty of vacant land available, as well as higher-priced single-family homes (newer builds) that are often on very large lots. Older single-family homes are a little more affordable. House prices in Edmonton tend to be high, with a mix of new and old single-family homes and condos, plus commercial spaces. In the province’s largest city, Calgary, single-family homes and condos come at a high price, particularly those that are new builds. Commercial real estate is also available in the city. House and condo prices are slightly less in other sections of the southern part of the province, and commercial space can be found in these areas as well. There are 42 public school jurisdictions in the province, which operate both English and French public schools. These schools follow a curriculum developed by the province, and some schools have both English and French classes for students. There are 16 other school jurisdictions (including boarding schools) in Alberta, nearly all of which are Catholic-based, and all of which must also follow the provincial curriculum. Of the 12 universities in Alberta, half are public, and the other half are private (Christian). Public universities include the University of Alberta, the University of Calgary, Athabasca University, the University of Lethbridge, Mount Royal University, and MacEwan University. There are 15 colleges and 2 technical institutes that receive public funding. Other options are private colleges and adult education classes.